Short sleeves, textured stitches–warm-weather dressing at its best. Go green (and save some, too) by stitching up housewares you can use again and again. From striped tech protectors to cute carryalls, five accessories that are fun to make, cool to tote around. Knit basics with a feminine air. The only outerwear kids need this season. Darling togs for tiny tikes. Welcome spring with cherry tools and totes. 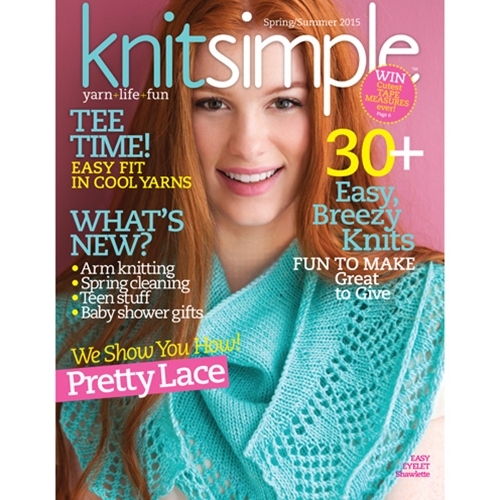 Finger-knitting fun, chunky knits, baby essentials, handstitched gifts and more. Sidestriped poncho. Thirteenth in Vickie’s knit-along series.